Almost all the new acquisitions this week were surprise arrivals in my mailbox. My digital haul, on the other hand (which seems to have a real blue/tan color theme going on there) is another story. Let’s face it, I have a book addiction, though in my defense more than half the titles there are audiobooks and I am always in need of something to listen to. These days, I seem to be running around with my headphones/car stereo/bluetooth speakers on more than I am actually sitting down reading. I’d like to thank the publishers and authors for the following review copies received, and for more details and full descriptions of the books, be sure to click the links to their Goodreads pages! The Burning Isle by Will Panzo – This book’s blurb had me at “Grimdark”. I’m always looking for my next great dark fantasy read, and I hope this one is as amazing as it sounds! My thanks to Ace Books. Children of Exile by Margaret Peterson Haddix – I was unfamiliar with this one, but after some research I learned that it is the first of a Middle Grade sci-fi dystopian trilogy. 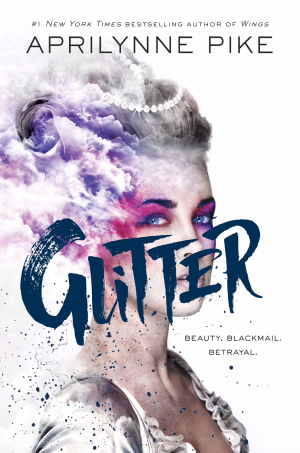 The MG tag immediately made me hesitate, but I can’t deny I am intrigued and also excited by the number of positive reviews. I’ll probably end up giving this a look. My thanks to Simon and Schuster Books for Young Readers. Keller’s Fedora by Lawrence Block – Another novella from the amazing folks at Subterranean Press! This is a book in the John Keller series about a hit-man in New York City, which I have to admit I’m not familiar with. I like the sound of it though, and if I can read it on its own without any prior knowledge of the series and character, I may give it a shot. 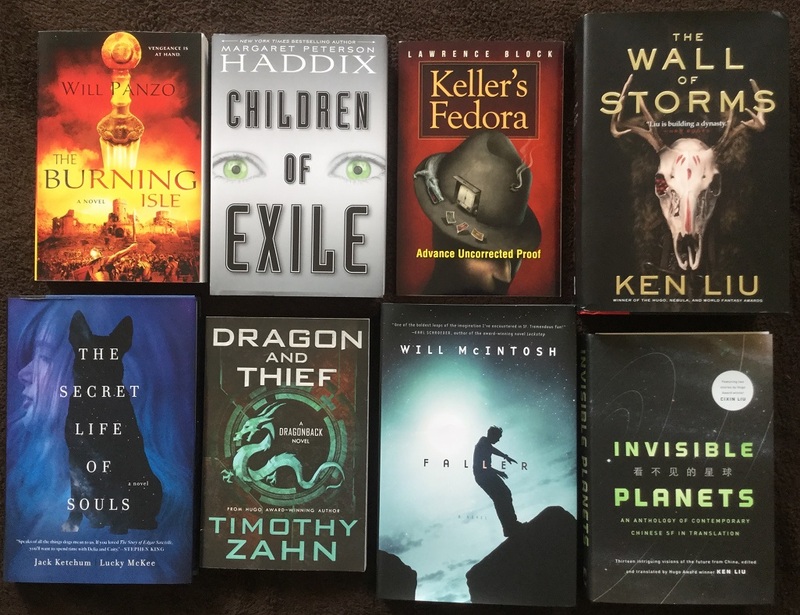 The Wall of Storms by Ken Liu – In case you missed my review about how awesome this book is, the link is in the review roundup section below! This was a gigantic tome but I loved every moment. Thank you so much to Saga Press and Wunderkind PR. The Secret Life of Souls by Jack Ketchum and Lucky McKee – At first glance, I thought this book might be a contemporary feel-good book about dogs. Then I looked it up. Let’s just say the actual description couldn’t be farther from my first impression. It’s actually a psychological thriller/horror, but there is an extraordinarily gifted dog involved. I hadn’t heard about this before, but now I want to read it so bad! Thank you for the introduction, Pegasus Books. A new week also brings some new arrivals from Tor: This edition of Dragon and Thief by Timothy Zahn is a reissue of the first book of his YA series Dragonback, and I’m really digging that new cover! 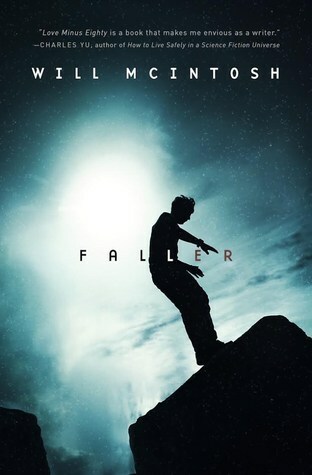 Next is a finished copy of Faller by Will McIntosh which I’ve already devoured. There are some really wild and fascinating ideas in this one! I should have a review scheduled soon. Finally, I was really excited to receive a hardcover of Invisible Planets edited and translated by Ken Liu – this is an anthology of contemporary Chinese science fiction in translation, and whoa there are some really cool stuff in here. Huge thanks to the publisher for these goodies. 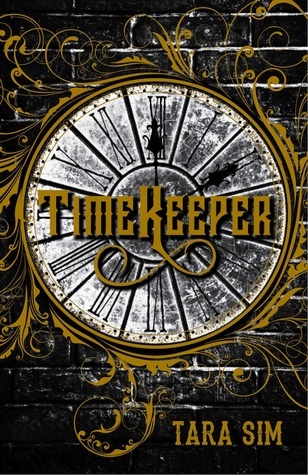 Timekeeper by Tara Sim – I just couldn’t resist downloading this. I know Victorian-era steampunk is one of those ubiquitous tropes, but I just love it. With thanks to Sky Pony Press via Edelweiss. 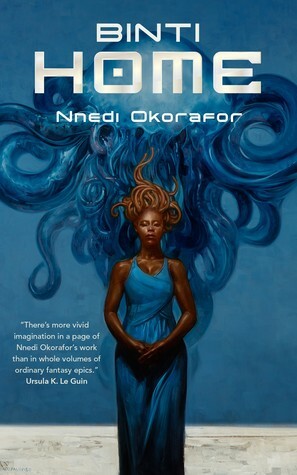 Binti: Home by Nnedi Okorafor – Also thanks to Tor.com for sending me this e-galley of the sequel to Binti. 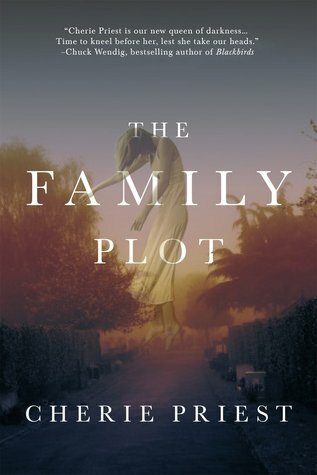 While I had mixed feelings about the first book, I still want to read this–but I may try out one of Okorafor’s full-length novels before I do. 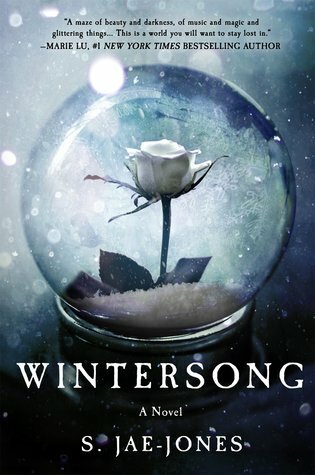 Wintersong by S. Jae-Jones – Another impulse request because of this novel’s gorgeous cover and description. I’m definitely in trouble, because there’s already so much incredible YA coming out next year. My thanks to Thomas Dunne Books and NetGalley. 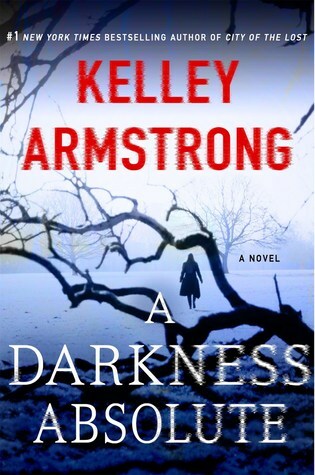 A Darkness Absolute by Kelley Armstrong – I slammed on the request button as soon as I saw this pop up on NetGalley, and no regrets! Earlier this year I read my first Kelley Armstrong novel, the absolutely phenomenal mystery-thriller City of the Lost. This is the sequel and I am just crazy overjoyed to be approved. My thanks to St. Martin’s Press/Minotaur Books. 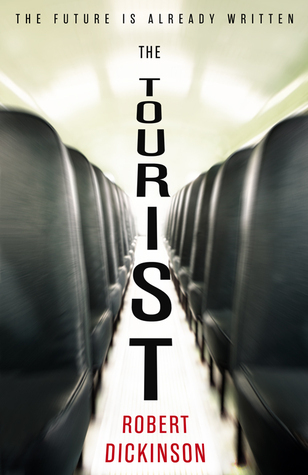 The Tourist by Robert Dickinson – Audiobook with thanks to Hachette Audio. The description for this book caught my eye right way, though I won’t lie, I’m actually quite nervous about the mixed reviews. I’m hoping the audio version will help alleviate some of the common complaints, plus I am I also a big fan of the narrator Peter Kenny so I decided to go for it. Iron Cast by Destiny Soria – Audiobook with thanks to Audible Studios. I had been drooling over this one for a while, so I jumped on it the moment I saw that the audio version was available for request. Looks perfect for when I’m in the mood for some light and fun historical fantasy YA. 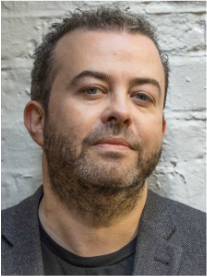 I also had the pleasure of connecting with Penguin Random House Audio last week, and I’ve already been set up with a trio of amazing audiobooks. Gemina by Amie Kaufman and Jay Kristoff is definitely a must-read for me this fall and I am doubly excited about the chance to experience it in this format. If this book is anything like its predecessor Illuminae, this should be very interesting. 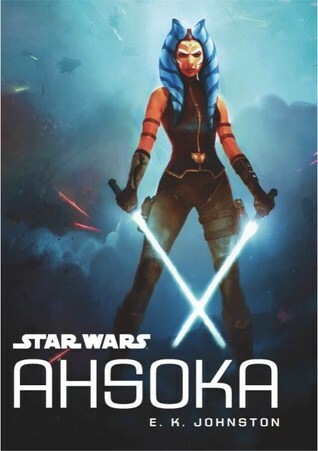 I’m also rocking the media tie-ins with these next two: I’ve already binge listened to and completed Star Wars: Ahsoka by E.K. 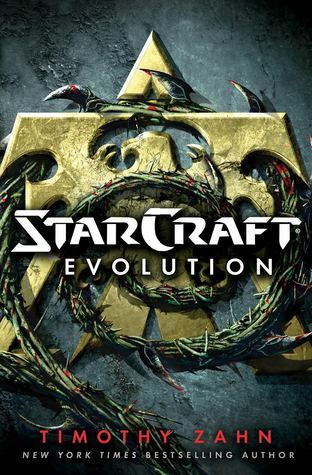 Johnston, which was so good, and Starcraft: Evolution by Timothy Zahn should satisfy my Starcraft itch. My deepest thanks to PRHA! 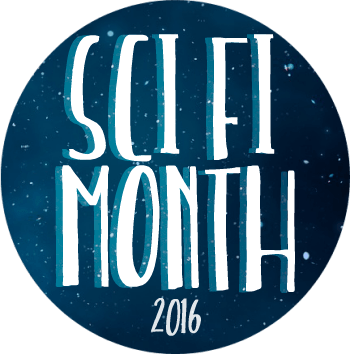 Now should also be the perfect time to announce that for the third year The BiblioSanctum will be participating in November Sci-Fi Month hosted by Rinn Reads and Over the Effing Rainbow. As the name of the event implies, next month we’ll be bringing you all kinds of sci-fi goodness in addition to our usual content, including sci-fi related reviews, giveaways, and special features. 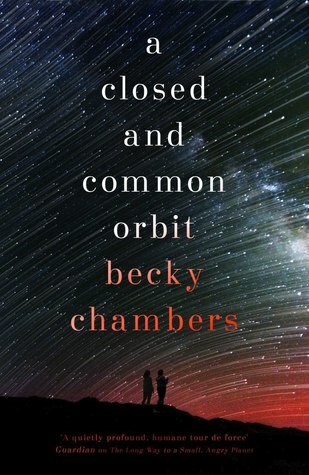 In addition, the SF/F Read-Along group will be celebrating with a read-along of A Closed and Common Orbit this winter since last year we covered the first book A Long Way to a Small, Angry Planet. If you’ve been planning on reading this sequel too, why not come join us? You’ll find the details as they are updated here. Time for a roundup of my reviews! 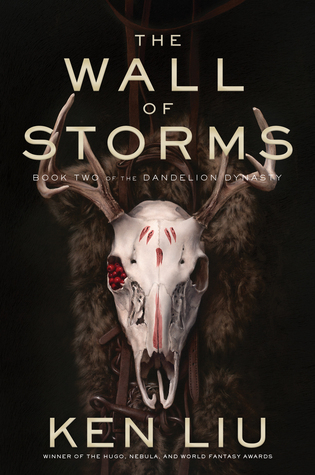 Top featured spot goes to The Wall of Storms, the truly epic sequel to The Grace of Kings. Seriously, this series is blowing my mind. Big thanks to Jason Arnopp who stopped by The BiblioSanctum this week! 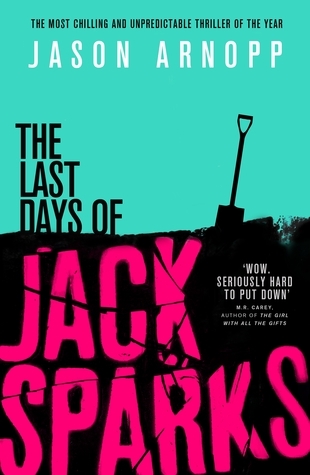 If you’re looking for another great read, check out his spectacularly entertaining and creepy new horror novel The Last Days of Jack Sparks. Here’s what I’ve been reading lately. A bunch of these books haven’t been reviewed yet, but I’m working on getting them up so stay tuned! The cover for The Secret Life of Souls is so beautiful! Plus, a gifted dog + thriller/horror? Yes, please. That one’s definitely shot its way up to my must-read list. It does sound intriguing! Wall of Storms was pretty amazing, wasn’t it? Oooh very nice! Lots of new to me reads!! Yay Gemina! I loved that one and cannot wait to go back and see all Marie’s drawings in it!! And ooh Wintersong! I think I will finally be starting that one after my current read!! Need to knock out my Netgalley books asap! Lol! Happy Reading! I’m listening to Gemina and I’m enjoying the hell out of it. At some point I’ll probably have to pick up a keeper copy of the hardcover as well, because I am curious about the visuals! 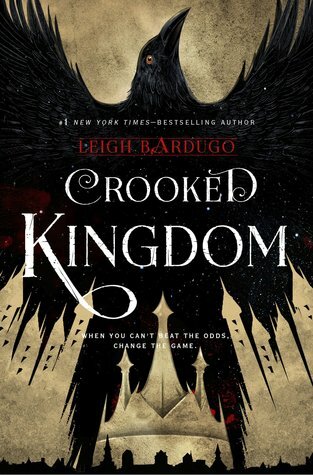 I’ll be interested to see what you think of The Crooked Kingdom (I’ve just finished this one) and The Queen of Blood. I really love the new Dragon and Thief cover! I loved that series when I was in middle school, although I do wish the early books were better about female characters. But oh wow was the cover art terrible. You should look up the original cover to book three – it’s the one all my friends told me looked like weird erotica. I’ve also had my eye on Iron Cast, so I can’t wait for your review of it! I don’t know if I’ve read that specific book by Haddix, but she’s another author who I really loved when I was in middle school. 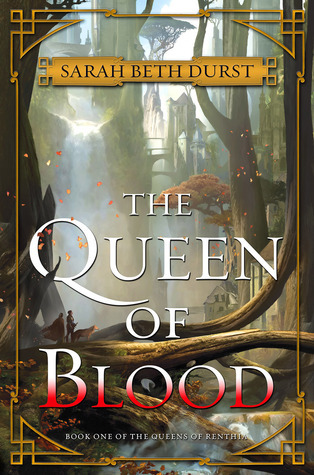 My Crooked Kingdom review was up last weekend, and the one for The Queen of Blood is coming up! 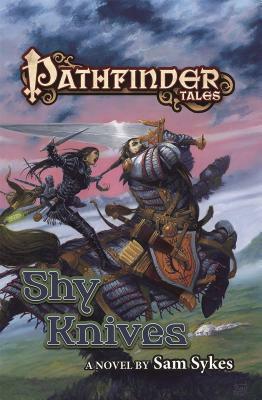 And yikes, I just looked up the cover for the third book of the Dragonback series, and you are right, that is truly awful. Ohhhh, I’ll have to go back and look at your Crooked Kingdom review. I was avoiding reading anything about it until I finished, so I must have missed your review. As usual, you receive the most amazing anthologies, Invisible Planets has been on my wishlist for a while and when I finish the two antholgies I’m reading right now (Drowned Worlds and Cyber World), I will read it! And I hope I’ll get a chance to hit up Invisible Planets during sci-fi month, but you know how I procrastinate with short story collections 🙂 Cyber World is on my list too! I really loved Binti: Home, I hope you’ll enjoy it too! I’m really intrigued by Invisible Planets, and dying to read Queen of Blood ! I wasn’t sure I wanted to continue with the next book of Binti, but I have to say the reviews (yours included) have made me reconsider – it sounds really good! I’ve been looking forward to several of these, especially Wintersong. The WoT coloring book looks awesome too! 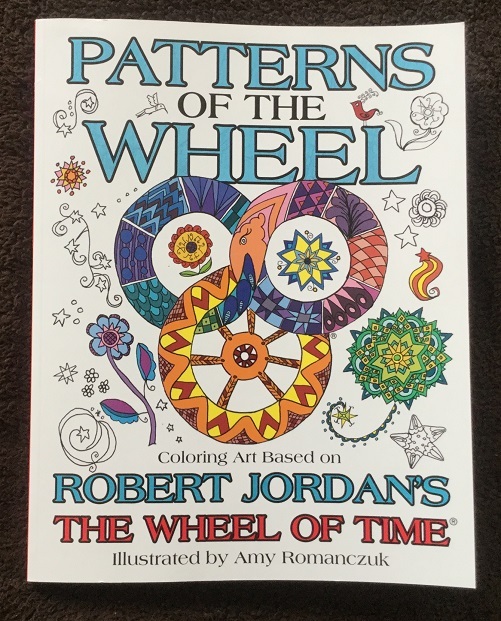 Oooh, it never even occurred to me that they’d make a Wheel of time colouring book, but I definitely want one! I got an e-ARC of Invisible Planets too! Quite excited to try that one. Good haul, as ever. Yay! You’ll probably get to Invisible Planets before I get a chance to, I look forward to your thoughts! Pegasus sent me a copy of The Secret Life of Souls as well and it’s one of the first reads I have planned for November. 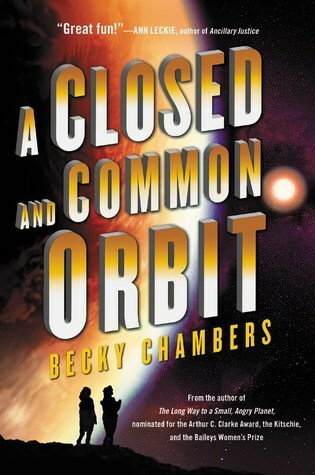 I am jealous you have the newest Kelley Armstrong book but since I just ordered the first in that series from Book Outlet and it isn’t here yet so I guess I’m ok. I’m plan on ordering A Close and Common Orbit before the holidays. Wonderful bunch of books! Very interested to see what you thought of The Queen of Blood as well. I was in the bookstore with some time to kill and read the first few chapters, definitely got me interested. Looking forward to reading it. My review of Queen of Blood is scheduled to go up soon. You were right, it was very interesting, and I ended up enjoying it a lot more than I expected! 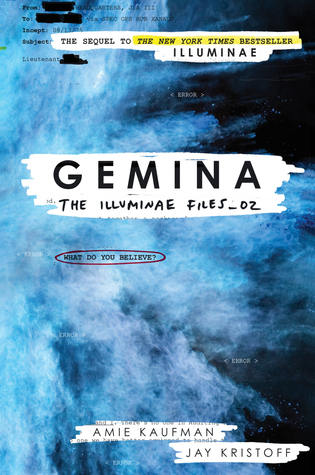 I’ve started listening to Gemina, and so far it is AMAZING! I thought I would miss the visuals too, but the audio experience has been phenomenal because they use a full cast and a ton of effects. I admit I was doubtful when I heard folks raving about how great Illuminae was in audio format, but I now that I’ve heard it for myself I am totally on board with it. Congrats on being approved for the new Kelley Armstrong book!!! I can’t wait to hear your thoughts on that one. The Tourist does sound interesting, but I’m on the fence about it. Definitely interested in reading your thoughts on Timekeeper, Iron Cast, and Wintersong when you get around to those. As for my newest books, I got Ursula K. Le Guin’s short story collection The Unreal & The Real and novella collection The Found & The Lost. You forget how long UKLG has been writing until you get those two books… and realize one is 700 pages and the other 800. 😮 But if I space out the readings (one story at a time), it shouldn’t be too overwhelming. You should include a photo of that two-book stack if you can next time. Just because. *lol* And aren’t the covers gorgeous, too? Are you interested in reading and reviewing this book? *edited by site owner* Please see our review policy and use the provided information to submit your request. Requests made in post comments may be marked as spam. Thank you. Great haul and lots of reading! I’m going to echo Jolien’s comments above! Secret Life of Souls looks and sounds rather good. 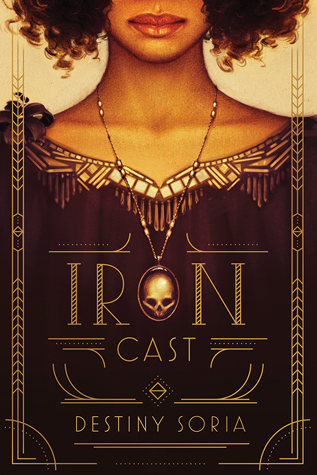 I’ve been eyeing Iron Cast, look forward to hearing what you think of it! That should be my next listen or the one after – really looking forward to it! GEMINA! Eeeep, I need that book to arrive in my mailbox asap! I’m also really curious about Time Keeper and anything by Kelley Armstrong 😀 Oh and even though I still need to start Wheel of Time, Patterns of the Wheel looks amazing! !